Jerusalem has been the subject of Jewish prayers and yearnings for thousands of years. L’shanah haba’ah b’yerushalaym (next year in Jerusalem) we say. But what does one do when they finally arrive? before rejoicing, it might be a good idea to look back and reflect on how they got there. 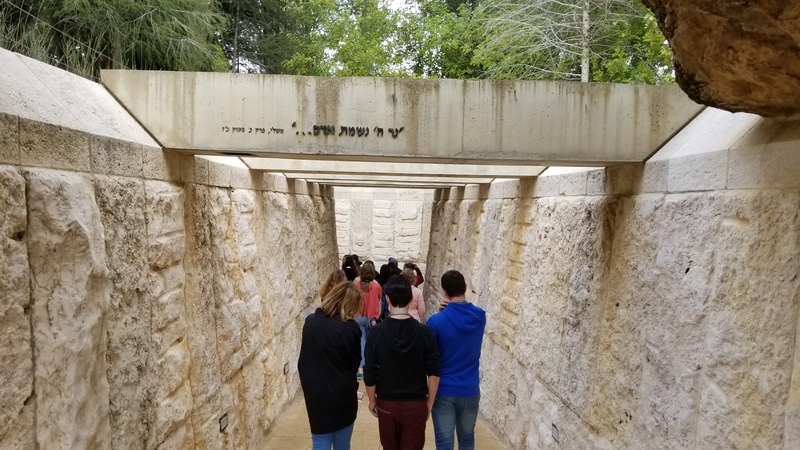 After visiting the Herzl museum last night, we began today with a tour of Yad Vashem, the Holocaust museum and archive, and Har Herzl, Israel’s national military cemetery and the resting place of great leaders of the nation. It is the custom to begin the tour the the Holocaust memorial, and make the way up, literally and metaphorically, to the cemetery, thus following thenarrative of m’shoah l’tkuma (from destruction to revival). In an interesting interpretation we have switched these two around, allowing us to discuss the different ties that exist between the Shoah and the modern state of Israel. 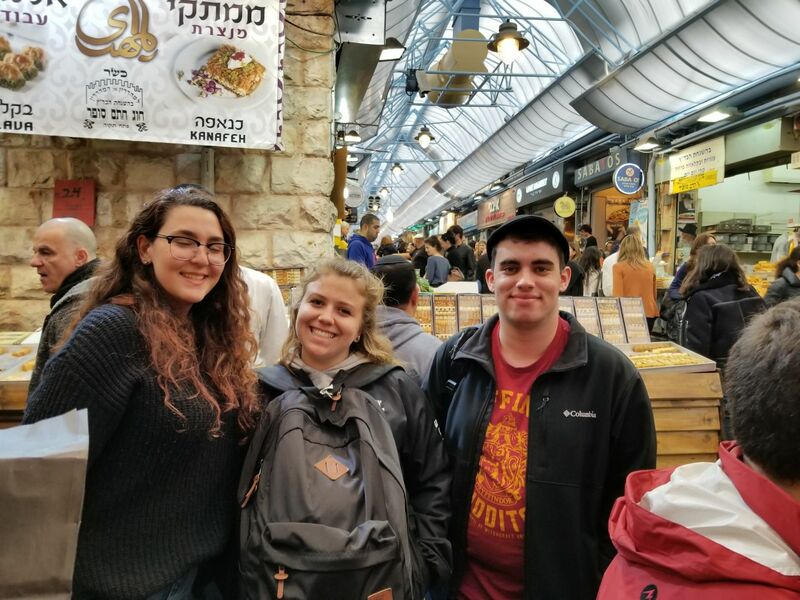 Following this very emotional morning, we headed to the Mahne Yehuda Shuk (market) to join what seemed and felt like every single person in Israel for some pre-Shabbat food shopping. As of every time on this trip, our teens were all back at the meeting point exactly on time, as well as our heroic bus driver, Elias, who got us out trough some streets that were not meant for buses, back to the guest house. With the Shabbat climbing up the eastern slopes of the Jerusalem hills, we quickly changed into our finest clothes and headed to Kol Haneshamah, a reform congregation located in the picturesque neighborhood of Baka. 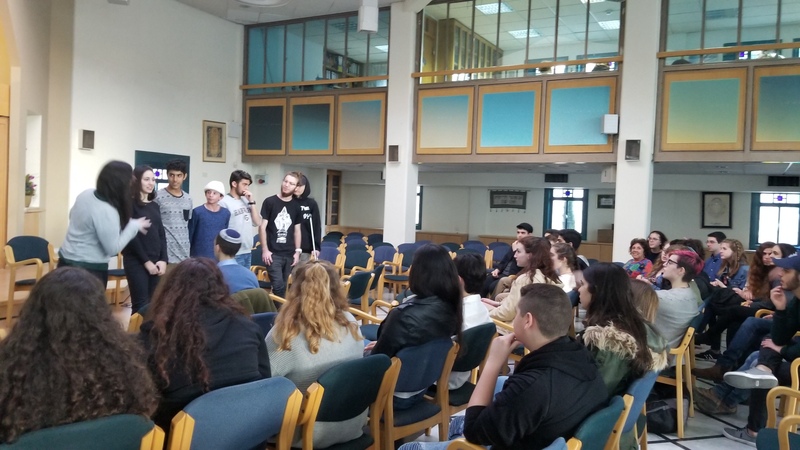 Just before service, we were lucky enough to have a talk with several teens from Noar Telem, the congregation’s youth group. Even though it was a brief meeting, it seemed to have had a great impact on our teens, as they have seen a “hybrid” version if you will, of both of their lives. We concluded the day with a very peaceful and reflective 3 mile walk through the quiet streets of Jerusalem back to our guest house. With our trip being just over 24 hours before it’s end, our teens took the opportunity to have some meaningful talk with both new and old friends. our day in the Old City, will have some time to relax, reflect, say goodbye, and will be heading to the airport very early Sunday morning. It will be a bittersweet update to write.